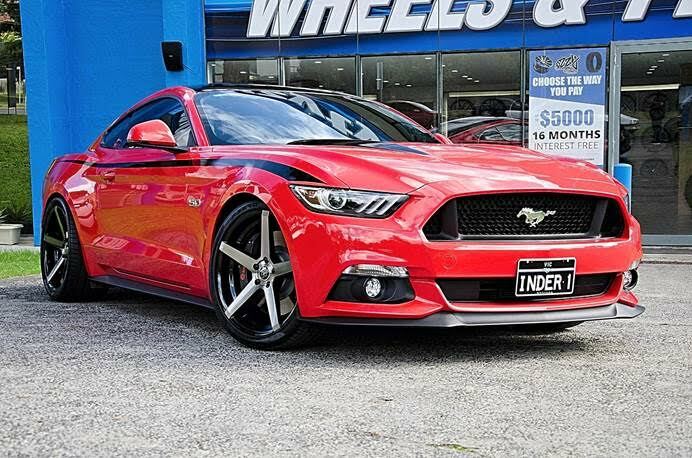 Mustang Wheels | Shop Australia's Widest Range Of Mustang Wheels! There’s no two ways about it – the Mustang is iconic. Whether you own an old school classic mustang or one of the newer beefed up ones, shape and even the sound of a Mustang is unmistakable. 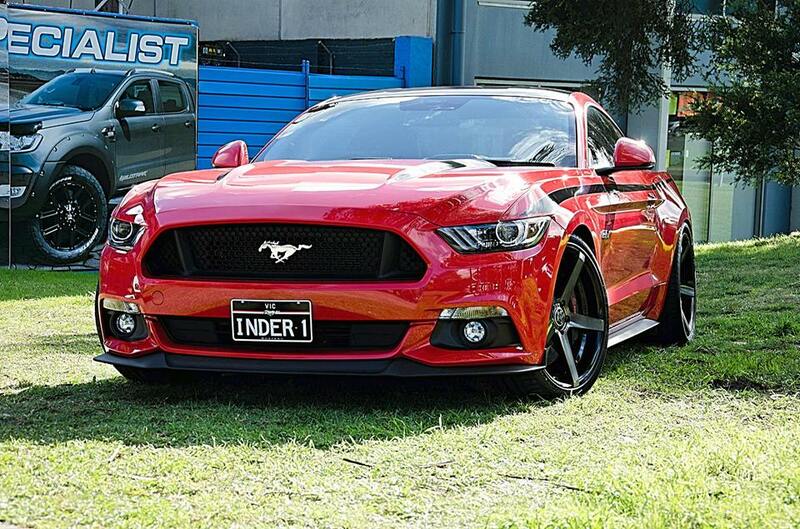 The Ford mustang has become the new muscle car of Australia and has totally changed the game when talking sports coups. You could argue that you should never mess with a classic. That’s true up to a point but there’s no harm in upgrading your wheels and tyres to something a little more 21st century. Plus, you can still upgrade and stay true to the Mustang’s personality and heritage. If you’re lucky enough to own a classic Mustang you are part of a very exclusive club that includes Jay Leno, Former President Bill Clinton, and Patrick Dempsey, Jim Morrison supposedly also owned one but he wrapped his around a tree in California (no doubt under the influence). Although modern mustangs are more commonplace they also attract celebrities including Eminem. So what can a new set of wheels do for you Mustang? Here’s a run down of what Ozzy Tyres can do for you and yours. 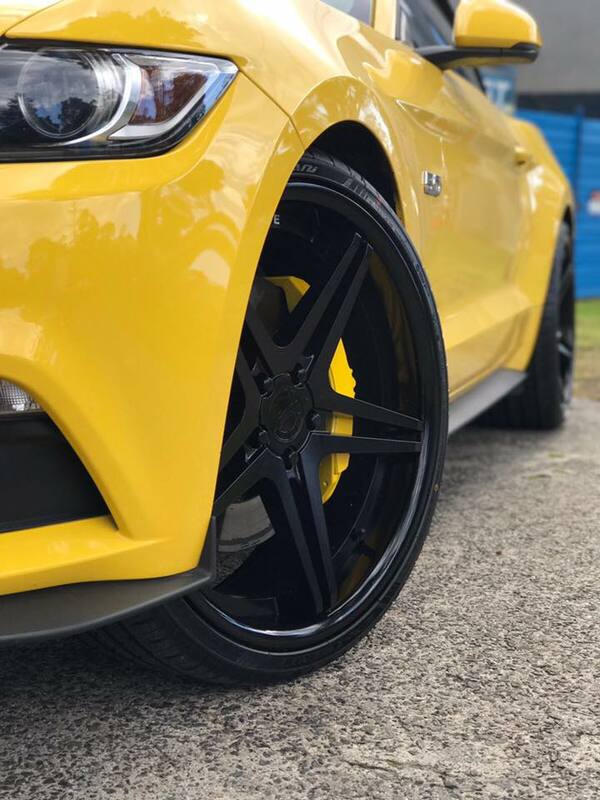 As we’ve mentioned, it can be sacrilege to mess with a classic so we’ll help you tread carefully to select a set of rims that compliment not contrast the style of your mustang. For example, you could try the Avid AV-20s for a clean and simple look. Many Mustangs of old have simple, chunk spoke wheels so these are the ideal, modern day replacement. For a more modern look (and it won’t be to the taste of the mustang purists) you could look at The Vertini Drift series as featured on this Mustang. Mustangs have been around for over 50 years now but the most recent generation was designed back in 2015. It’s probably best we forget about everything that happened to the Mustang in the 80s and 90s and fast forward to 2005 when the Mustang finally started getting some of its muscle car swagger back. For that extra bit of swagger though, some new alloy wheels are just what the doctor ordered. The ford mustang comes in an array of beautiful colours and has a clean interior to match. It is available in both automatic transmission and a classic race type manual giving you full control over the drive and gear ratio changes. They have large brembo brakes also to slow this wild stallion down when need be. The handling is exceptionally well competing against high priced European competitors like Audi and BMW. 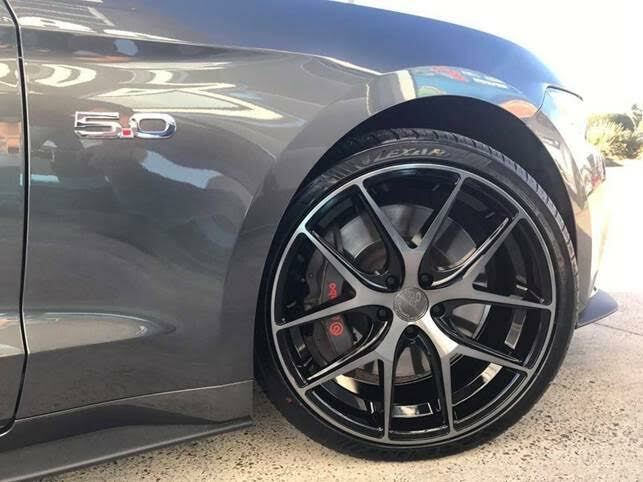 The mustang owner is generally a Ford enthusiast and we have found between 30 and 50 year old males as being majority owners of these bad boys. The 4 types of engines are 2 that come in v8 and the 2 x eco boost v6. Either ones generating a great deal of power for the Aussie roads. 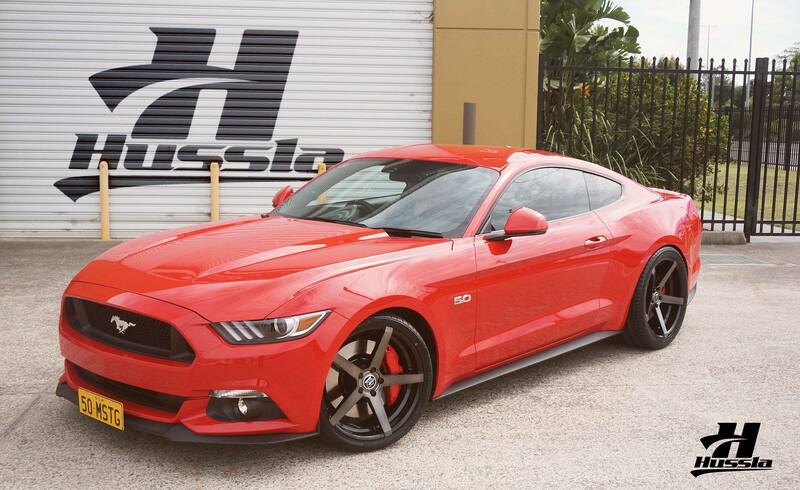 Most importantly the Ford Mustang is made for aftermarket wheels. Majority opting for the 20 inch staggered fitments. We can fit as wide as 20x10 on the front and a whopping 20x12 on the rear. Wheels such as the Vertini RF1.1 we do in these specs with custom high offsets to suit. These wheels are flow form light weight wheels that suit the style, performance and unique colours of the mustang. 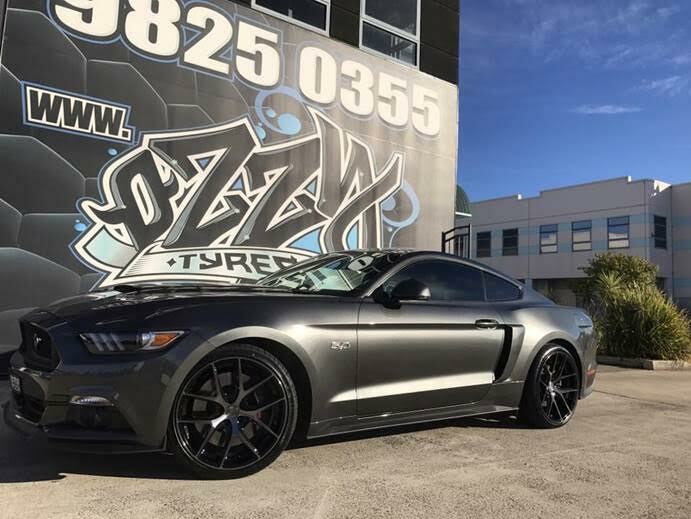 You could say you can’t really go wrong with your choice of new rims on a new Mustang and of course it’s all down to personal taste. However, styles like deep dish rims tend to be more suited to Japanese street cars rather than beefy muscle cars like the Mustang. But that still leaves you with a lot of choice. The Mustangs of old tended to have concave spokes leading towards a central protruding hub. Modern mustangs however, have started leaning towards a flatter look but still with minimal chunky spokes. Colour wise, you can’t really go wrong with black or brushed steel or grey but for some reason, in our eyes, chrome doesn’t quite match up with the Mustang. 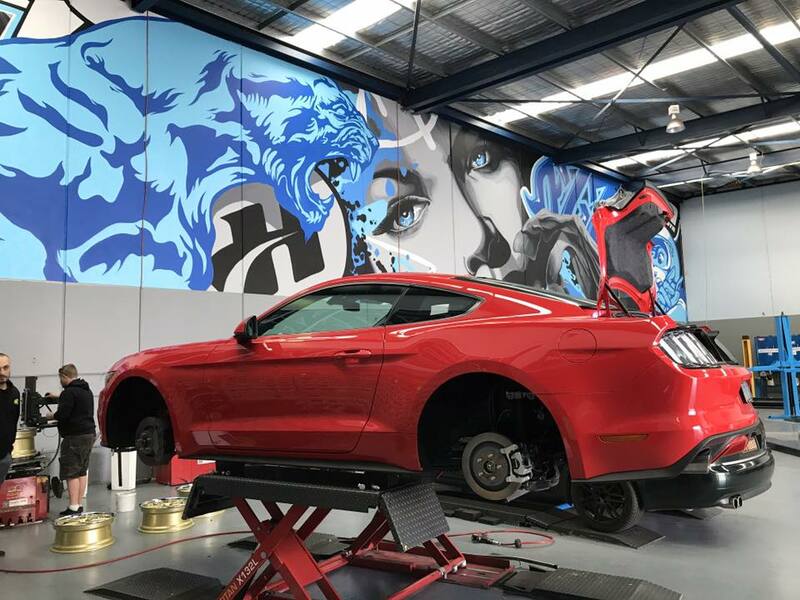 In terms of sizes, Mustangs often have very wide tyres to transfer all that power onto the road. Bear that in mind when buying your rims. 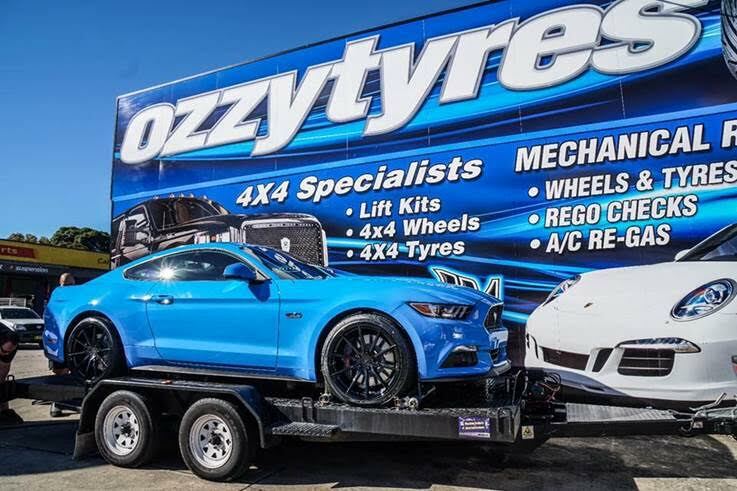 At Ozzy Tyres we stock all our wheels in a range of sizes from 16 inch all the way up to a massive 24 inches. 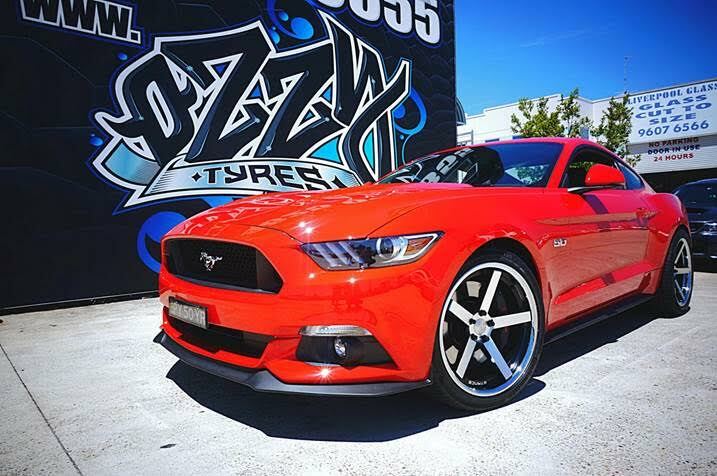 Why choose Ozzy Tyres for your Mustang wheels? 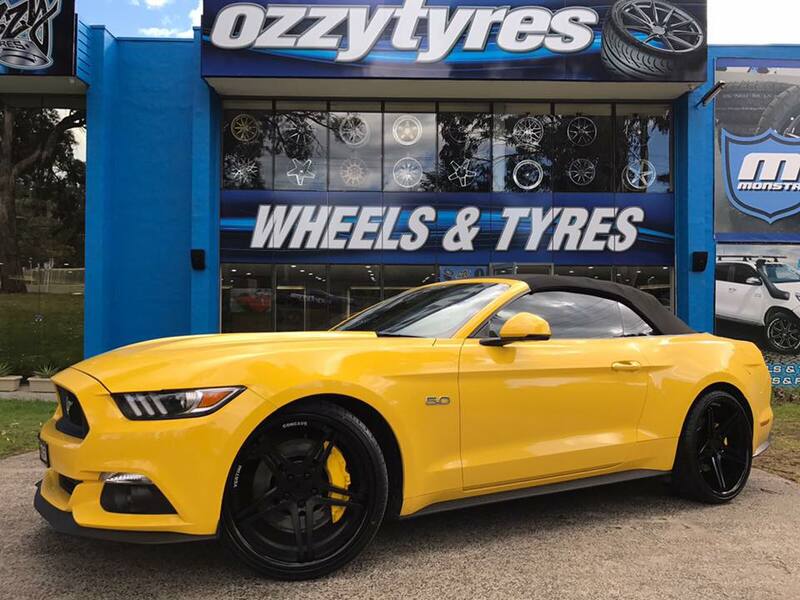 Ozzy Tyres has the largest selection of wheels in Australia. All the styles, sizes and colours mentioned on this page can be catered for and more besides. 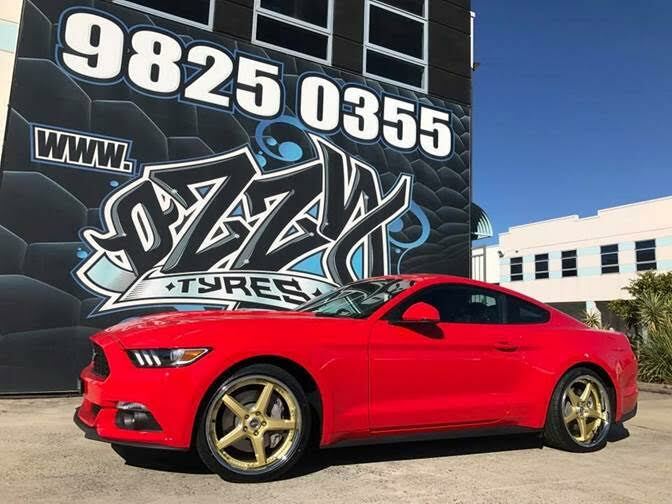 Wheel and tyre packages – If you need wheels and tyres at the same time, buying both from Ozzy Tyres could save you a lot of money. So, if yours are looking like they might need changing soon or if you just want new ones to compliment your new wheels, ask one of our members of staff or use our wheel and tyre selector to buy both together. Discounted wheels – We’ve been working with our wheel suppliers for a long time now so we’ve got great buying power with them. So that means that we can pass our savings on to you. Check out our website regularly to see all our best deals. Interest free finance – New wheels can be a bit of a drain on your bank account. So we’ve teamed up with zipMoney to give you interest free finance for purchases up to $6000. Pay off your new wheels over a massive 24 months so that it’s not such a burden. Free fitting – If you live near one of our Ozzy Tyres stores, you can get your new wheels, fitted, balanced and aligned for free. To sweeten the deal even more, if you buy tyres from us too, come back to us in six months or when you’ve done 100000km on them and we’ll rotate them for free so you get more wear out of them.